Only tree and lawn company to win Angie's List Super Service Award every year since award began in 2005. Property evaluation by ISA Certified Arborists (11 on staff), PA Certified Safety Committee. Giroud came out to remove 2 dead trees for us and grind out the stumps. The clean up was terrific and you could hardly tell those trees existed just a few hours ago. They scheduled the work with us, arrived on time, were professional and worked hard to make our place beautiful. Thank you. We were thrilled! I've been using Giroud for a few years for my lawn. My lawn looks great! The crew are always so friendly and professional! I have used Giroud Tree and Lawn for over 5 years. I have found them to be reliable, efficient and professional whether they were working on our trees (trimming, thinning or fertilizing), shrubs and lawn. We have a 300 year old ash tree on our property that is healthy and ash borer free because of their treatments. I would highly recommend Giroud. I have been using Giroud Tree and Lawn to treat my lawn for several years. First and foremost, my lawn has never been greener and more weed free. This company is thorough in the work they do and professional with their customers. 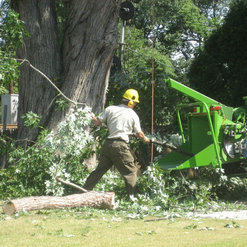 My arborist, Erik, is extremely knowledgeable and is quick to call me back with answers to any questions I may have. Giroud Tree and Lawn did a fantastic job at my house! We got tree work and lawn work. All of the men who worked at my house were professional and showed great attention to detail. Our assigned arborist, Drew, was fantastic as well! We will happily be using Giroud again in the future ! We have used Giroud Tree and Lawn for at least 10 years. They have provided tree maintenance, insect and disease control and emergency services due to inclement weather. They are prompt, knowledgeable and very courteous. True professionals who stand by their service,I don't know why anyone would use another company. .
Good company. Professional. 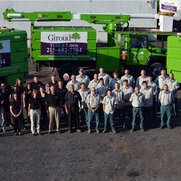 Giroud Tree and Lawn company contacted me recently as a follow-up when I would like to cut some tree branches. They provided great customer service -- we made a quick appointment and an certified arborist representative showed up on time. He was not only itemizing the service but also providing advise on the poison ivy removal and other yard work. highly recommended. Thank you Ms Yang. We are so glad that you are happy with our service and that Mike''s advice was helpful. We appreciate your business! Very happy with their work and the way they cleaned up the area after taken down our trees. Can't believe that a two man crew did all that work, don't see that a lot! Also went out of their way to do the little things that made our experience a happy one.